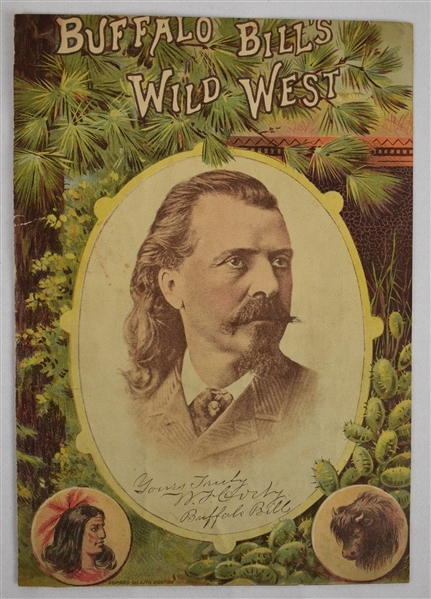 This lot features a Buffalo Bill's Wild West magazine cover signed by Buffalo Bill himself. William Frederick "Buffalo Bill" Cody was a popular scout, bison hunter, and showman in the late 1800's. One of the most colorful figures of the American Old West, Buffalo Bill's legend began to spread when he was only twenty-three. Shortly thereafter he started performing in shows that displayed cowboy themes and episodes from the frontier and Indian Wars. 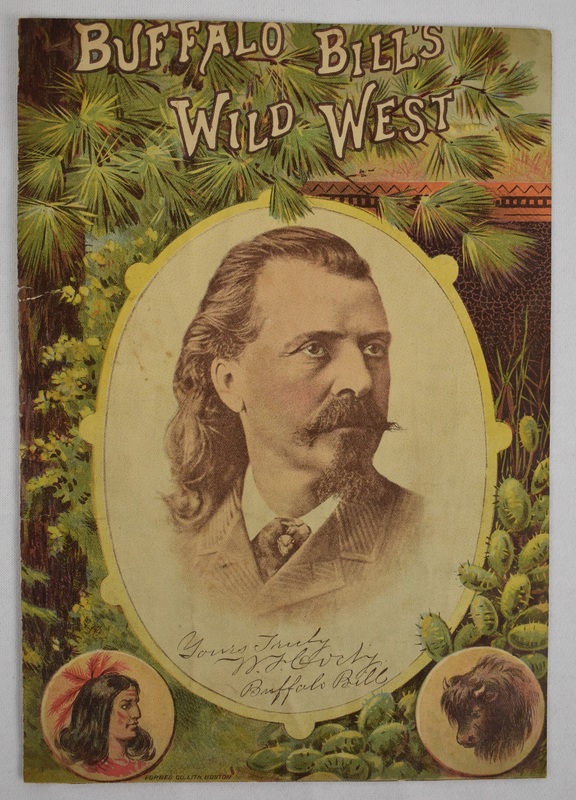 He founded Buffalo Bill's Wild West in 1883, taking his large company on tours in the United States.